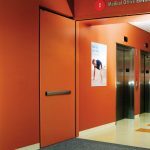 Door hardware standards play a significant role in life safety by ensuring products used in commercial and residential buildings are suitable for their intended use. 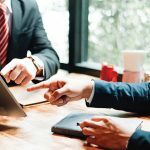 These standards serve as tools for hardware manufacturers and building professionals by providing them with a mutual understanding of door hardware requirements and types of locking systems. 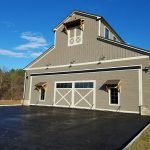 A privately owned helicopter hangar in rural Purcellville, Virginia, won its contractor Fuog/InterBuild the 2017 Building of the Year award from the National Frame Building Association. The post-fame, barn-style hangar features a hydraulic door. 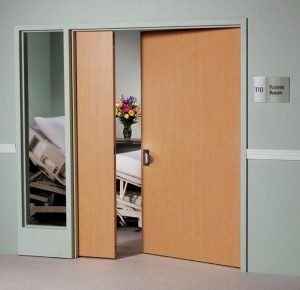 Optimal door performance begins with accurate, complete door schedules—which, in turn, produce detailed hardware specifications. This information then flows down through project delivery.